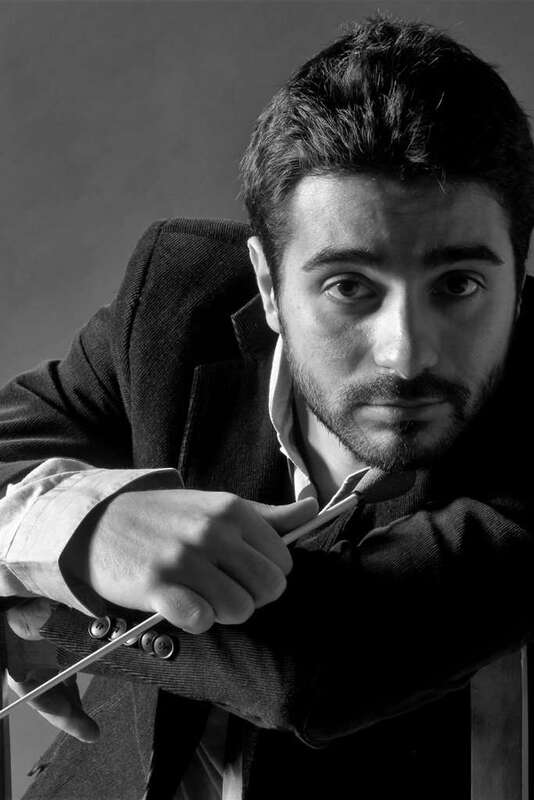 Nicola Valentini is one of the most brilliant and talented young Italian conductors. Loved by the critics and the audience and brought to international attention establishing a reputation as a unique conductor with an exceptional versatility, equal fluent in a diverse repertoire from baroque to romantic and belcanto. Graduated in cello at the Conservatory in Parma, he began his musical training at a very young age, including composition and conducting. After his studies he dedicated himself to the vocal and instrumental repertoire of the seventeenth and eighteenth centuries collaborating with M° Ottavio Dantone as his assistant. 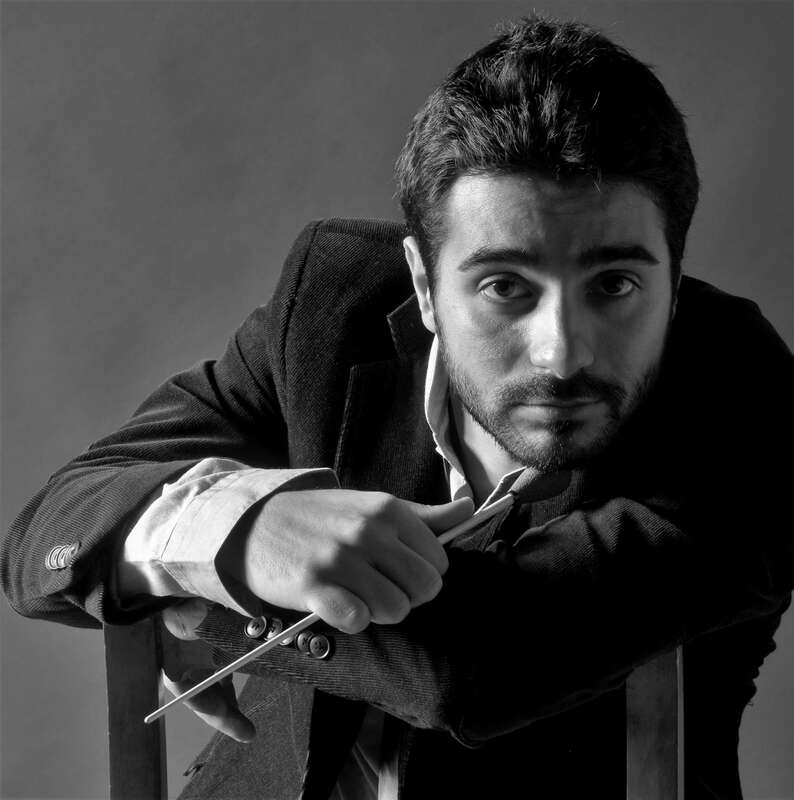 Founder and Music Director of the ensemble “Dolce Concento”, he has been appointed also associate conductor of the Friuli Venezia Giulia Regional Orchestra, also known as Mitteleuropa Orchestra. As assistant of M° Dantone, he took part in important concerts and opera productions in some of the world finest opera houses including Teatro alla Scala di Milano, Salzburg Festival, Glyndebourne Festival, Teatro La Fenice in Venice, Teatro Comunale di Ferrara, Teatro Alighieri di Ravenna, Teatro Verdi di Trieste, Opera de Lausanne, Opéra National du Rhin de Strasbourg, Palau de Les Arts de Valencia, Teatro Campoamor de Oviedo, Theater Basel Opéra de Montpellier. Furthermore, with Accademia Bizantina, he collaborated to concerts, performances and recordings including Olimpiade and Flaminio by Pergolesi, Die Entführung aus dem Serail and Così fan tutte, Annibale in Torino by Paisiello, Il viaggio a Reims and L’italiana in Algeri by Rossini, Giulio Cesare, Rinaldo, Alcina and Orlando, by Haendel, Tito Manlio by Vivaldi, Una Cosa Rara by Martin Soler, Orfeo, Il ritorno di Ulisse and L’incoronazione di Poppea by Monteverdi. As principal conductor, he has been guest of such orchestras as Maggio Musicale Fiorentino, I Pomeriggi Musicali di Milano, Haydn Orchestra in Bolzano, Orchestra Toscanini in Parma, Orchestra Sinfonica Rossini di Pesaro, Orchestra città di Ferrara, Orchestra Sinfonica Principato de Asturia de Oviedo. After his highly acclaimed debut in Gluck’s Ezio at Staatstheater Nürnberg, his recent and future plans include Il barbiere di Siviglia by Rossini at Teatro Campoamor de Oviedo and at Teatro Jovellanos de Gijòn, Concerts with Belcanto Academy Cenerentola in Pamplona, Alceste by Gluck with the ensemble “Dolce Concento” at Teatro Comunale in Ferrara, Symphonic concerts at Opéra de Montpellier, Handel’s Esther at Teatro Comunale di Ferrara, Stabat Mater by Rossini in Pesaro, Ravenna and Bologna, Symphonic concerts with Orchestra del Maggio Musicale Fiorentino, Symphonic concerts with Orchestra Haydn in Bolzano, Madama Butterfly at Theater Basel.